← What would Jack do? Solutions for a wounded society. I first saw a recipe for a beetroot chocolate cake about 2 years ago when a recipe came with my weekly organic veg box. Boxes had contained bunches of beetroot for about 4 weeks running and the company were kindly helping keep us in ideas to ensure no anti-beetroot campaign. I turned my nose up at it. Beetroot in a cake? Yuck. It’s funny how our tastes and preferences develop and change over time. I’ve never considered myself a fussy eater (minus animal products as a vegetarian/vegan! ), I’d eat anything as long as it met my vegetarian values. I loved beetroot and of course loved chocolate, especially chocolate cake, but the two together just didn’t appeal to me. Two years later, I come across a recipe for avocado cookies. I bookmark the recipe and think it’s a genius idea. This reminds me of the beetroot chocolate cake which I’ve seen dozens of recipes for since. It suddenly doesn’t seem such a bad idea or at all gross as I’d initially reacted. After all, carrot cake, pumpkin pie, sweet potato bakes – all things I love. So, I went the complete extreme and stuck both beetroot and avocado in a chocolate cake. The result? Rich, moist, craveable deep chocolate flavour with the benefit of beetroot and avocado’s range of health boosting qualities and antioxidants. Preheat oven to 160’C/320’F and line a 9 inch round cake tin. Take the largest area pan you have and add the ground almonds, toast, shaking the pan frequently over a medium heat until golden, being very careful not to burn them. Measure 1 cup and keep the 2 tbsp aside. Whisk together the dry ingredients (flour, 1 cup almonds, through to salt) in a large mixing bowl. Mix the wet ingredients (beetroot through to melted chocolate) in a separate bowl, when combined add to the dry ingredients. Mix until fully combined. Bake for about 1 to 1 1/2 hours or until a skewer inserted into the centre comes out free of wet batter (a few moist crumbs are OK). Leave to cool for about 15 minutes before removing from the tin and leaving to cool on a wire rack and drizzling with the chocolate glaze and sprinkling with the reserved almonds. Delicious served still warm. This entry was posted in Cakes, Chocolate, Desserts, Egg-free, Gluten-free, vegan, Vegetarian and tagged baking, cake, chocolate, dairy free, egg-free, healthy, vegan, vegetarian. Bookmark the permalink. Hi Jenny. You can’t actually taste the bettroot or avocado, it just adds to the texture of the cake (and adds lots of healthy fats and nutrients). 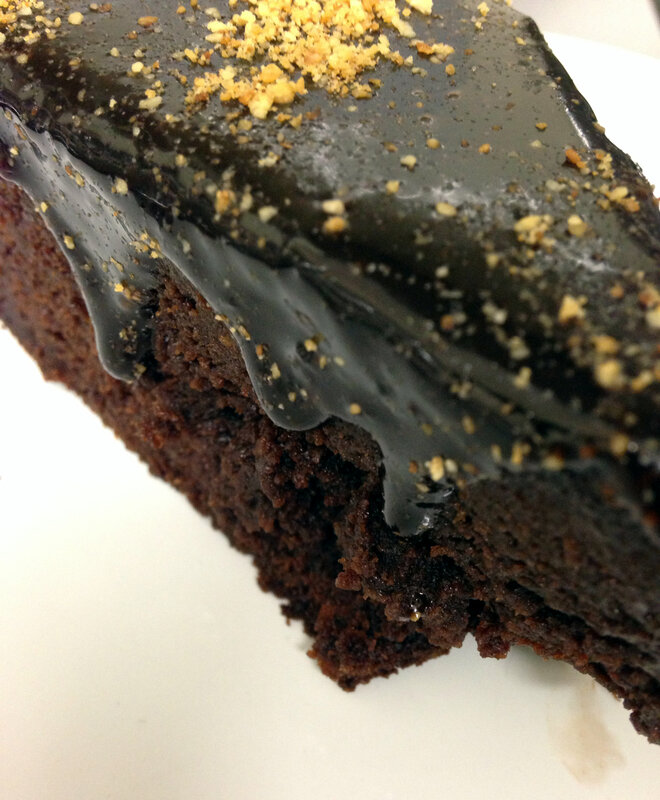 It tastes like a rich, moist chocolate cake! An awesome way to add beetroot into your food 🙂 Looks delicious. I think so too, I am hooked on baking with beetroot now! Thank you so much for your lovely comment Rebecca and for reblogging this post! I totally agree with you about the ‘diet’ yoghurts and other ‘healthy’ products. Breakfast cereals are the worst, who would think a muesli would contain 30% refined sugar?! I’ve used avocado a few times but this cake was a first for beetroot. You don’t actually taste them, they just aid in the moisture ad body of the cake and the avocado is an oil or margarine replacement. They also of course offer great nutrition. Since this cake, I am sold on the use of beetroot in chocolate baking recipes, I tried some beetroot brownies since and they were just as good as any decent vegan brownie but with the added moisture and health from beetroot – bonus! I hope you try it, I especially love to use avocado in an oatie breakfast cookie with dried fruit! Now I can’t eat this cake at the moment, because I am dedicated to my goals get fitter and healthier and unfortunately chocolate cake doesn’t help me get closer to those goals. So I am posting this for those of you who aren’t following the same program as me, or for those of you who have more room for things like this!! 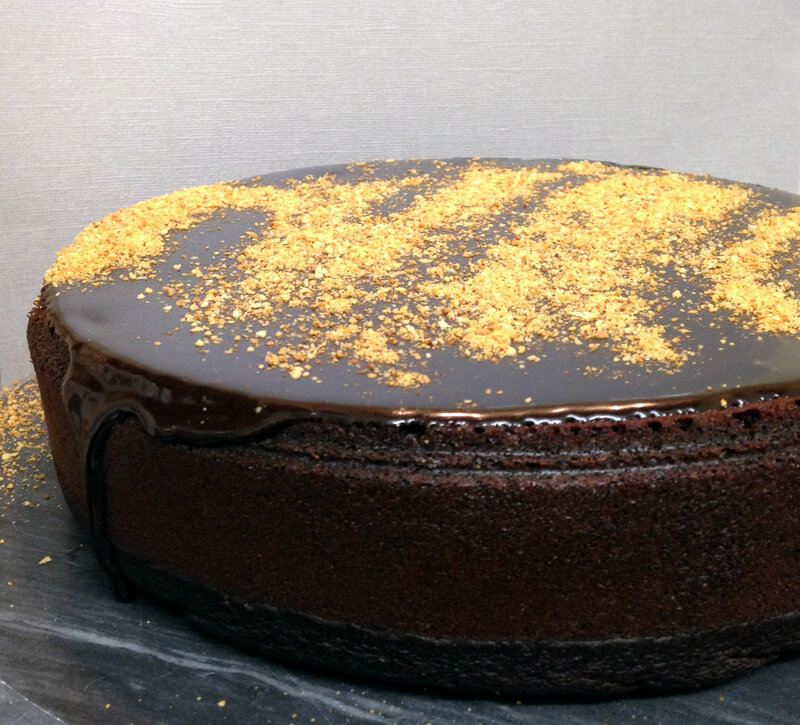 Because if you are going to eat chocolate cake, and you are trying to be healthy, this is the chocolate cake for you!! Toasted almond gold dust?! I can’t wait to try this, the cake looks SPECTACULAR! Thank you so much! It’s such a simple thing the almond dust, but I think it looks so pretty like flecks of gold! How delicious I think it’s interesting to have beetroot too! Wow that looks heavenly! I’m not a massive fan of beetroot but my vegetarian friend made a dairy free beetroot cake and it was just amazing. I will definitely have to try this one out…. I wonder if I can smuggle the avocados in past my very fussy boyfriend…. Like you, I was pleasantly surprised at how good it was even though I do love beetroot! Your boyfriend will never know there’s avocado (or beetroot) in there – mine didn’t have a clue! This looks absolutely fantastic, my mouth is watering. I actually hate beetroot but I made a chocolate cake with it this year and its amazing how it just enhances the richness and it makes a lovely cake. 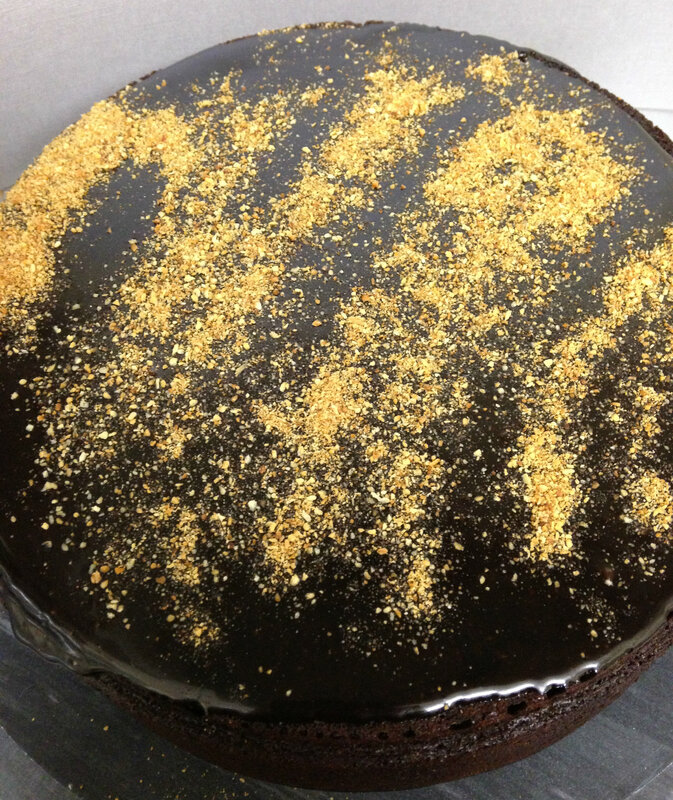 I love the gold dust topping too. So gorgeous. Thank you so much! I love beetroot in all its forms, but the fact a beetroot hater loves beetroot cake just shows how good it is! I think there’s gotta be a word stronger than craveable for this beauty! Soooo rich and yummy looking! wowsers, beautiful cake Poppy! Going onto my ever-lengthening list of “must make” recipes. I hope I can get the chocolate glaze as smooth and beautiful as you did (ha! no chance). And love the gold dust, what a great idea. Thank you Kelly! The glaze is really very easy I promise, just a melt together in a pan job and it will be silky and shiny for you! 🙂 I hope you enjoy it when you get round to making it – my “must make” list is heading to be passed to my great grandchildren! It does work incredibly well! Thank you Sophie, you are always so kind with your words! Never before have I wished so much that I could reach through the screen and just take a fistful of this cake. This looks delicious! Holy moly, that looks deliciously decadent! Thank you – it’s good for you decadence, such a bonus!! Wow this looks insane! The cake of dreeeamms! Thanks Chris – I hope you love it! This cake looks and sound amazing!!! Thanks for stopping by my blog and liking my recent post on Lemon Cupcakes… Your continued support is appreciated! Yes! This is totally the “icing” on my year of loving beets! It looks sooooo awesome, I will try it soon! Now that sounds very interesting. I recently posted a recipe for beetroot brownies, which are gorgeous, and today I bookmarked a recipe for a sweet with avocado! And then I came across your combination of both! I think I might have to try it..
What a coincidence! I hope you enjoy it! Stop it – this looks absolutely delightful! I am SO making this in the coming days! Thank you so much for sharing. Thank you for coming by! I hope you love it! Looks amazing! I’ve never been a fan of beets, so that was my reservation as well. Maybe once I get my hands on some date syrup, I’ll give this a go! I do have agave, but I’ll check out the date syrup. Thanks! I love beetroot in cakes and the addition of avocado sounds like a great idea. 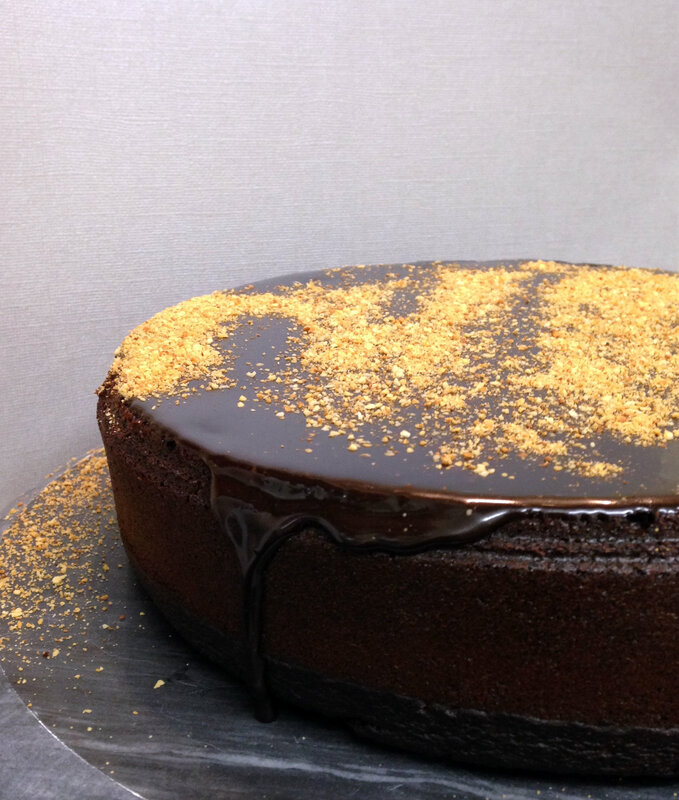 It looks absolutely amazing, especially with your gold almond dust! I love healthy and chocolate in the same sentence! OMG this looks amazing! I’m not vegetarian/vegan but I absolutely love – prefer – vegan desserts. I’ve never made beetroot brownies but tried them and loved them – the moisture from the beetroot is perfect for a brownie texture! Indeed! Beets are great secret ingredient, and baking with avocado is genius! This looks amazing! I recently heard a recipe for Chocolate Avocado mousse that looked great too. I don’t think you can even taste the avocado in it, but it’s still like a yummy chocolate treat! Thank you! I have made Chocolate Avocado mousse before. At first, I really didn’t like it but with a few tweaks, it was delicious and so rich and creamy! This looks incredible! I don’t like beetroot, but was talking with someone about beetroot chocolate cake just last week and how I wanted to try it as I imagine it makes awesomely moist cakes. This might just be the recipe! Yum! Hi Poppy, I most definitely believe this is the healthiest Chocolate cake ever!! I can’t wait to try it, and you’ve inspired me to experiment with other healthy ingredients in baking with chocolate. =) I love your idea of “exploring possibilities of cruelty free food”! Consider me a follower, and I look forward to exploring more of your recipes and your upcoming posts! ^^ Happy Blogging! Thank you for such a beautiful message Violet! Poppy, Looks like a winner. My husband is always asking for chocolate cake and I make him the raw variety, but I may have to make this for him! Thank you for your lovely comment Chaya! My partner is a chocolate cake fiend (usually the most unhealthy kind in unhealthy doses!) and this was a winner with him so I hope it goes down well with your husband! This has just reminded me how much I love chocolate beetroot cake. I was first introduced to it at a restaurant called Canteen in London. My first attempt was a disaster! It definitely deserves a second go. Don’t let a disaster put you off trying again! We all have those sometimes! I have a recipe for beetroot chocolate cupcakes. Healthy indulgent snack for kiddo! Sounds great! It’s a bonus to get the goodness of beetroot along with a chocolate treat! Poppy, this cake is just beautiful! I do like chocolate, but mostly I’m intrigued by the addition of beetroot and avocados here! I look forward to trying this one. Thanks! Wow, am I ever glad you came across my site and liked my post… so I could pay a visit to yours! This looks divine!! I am looking forward to trying your incredible recipes and following your blog! Thanks again, Poppy! 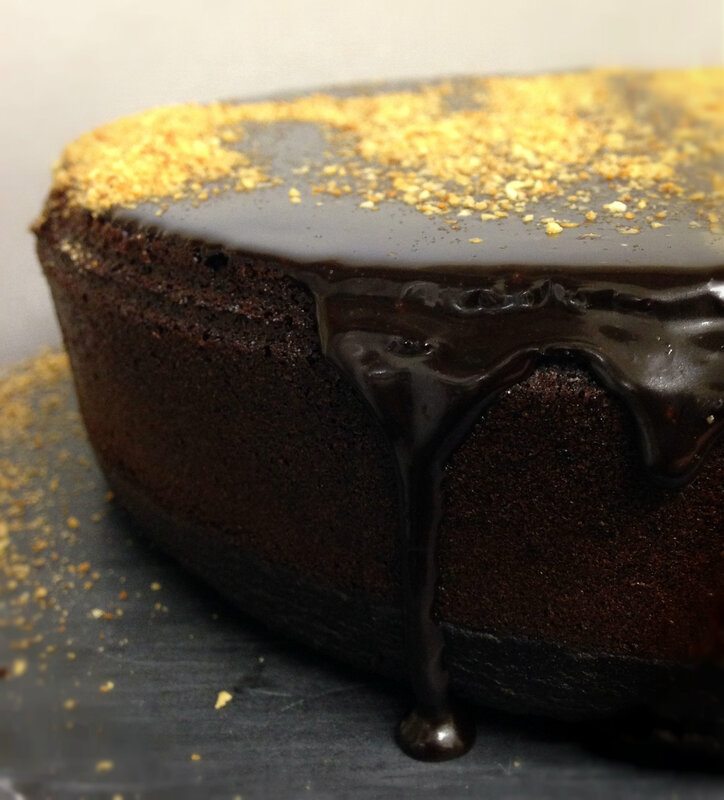 Who cares if this is “healthier” than normal chocolate cake…it looks absolutely fabulous!!! Wow! This cake looks amazing. I love all the wholesome, natural ingredients you have in it too. A must make!! I’ve made a chocolate beet cake for a friend’s birthday before and it turned out fabulous. Yours looks somewhat similar to a cross between a cheesecake and a cake, is that a fair assumption? Either way, I’m REALLY looking forward to trying this. Wow! What an intriguing recipe. Maybe I’ll tell the children the secret ingredients after they’ve eaten it…or would that be mean of me?! Your cake looks incredibly beautiful and delicious! It will go on my list of things to try! Thanks for sharing! This looks delicious! I’ve been wanting to try a vegan choccy cake using advocado for a while. Definitely going to have try this! Have done Beetroot brownies before, but this looks amazing! Sounds & looks delicious! Would be perfect choice of birthday cake for my little one! wow, I am gonna try this and also try using avocado as a “butter” replacement in other recipes. Thanks for sharing and for liking my banana cake. Amazing, I love how the almonds shimmer like gold! I also love beetroot chocolate cake but have never tried avocado in cake – now firmly on my to do list. Hi Poppy, thanks for liking my Breaking Bread blog post! The cake looks delicious, I’ve been wanting to try out the beetroot-chocolate combo for some time now, and you may have just given me the last push 🙂 Come back and visit Rustic Happiness soon! Hi Poppy, I was wondering yesterday if I coulduse beetroot to colour my macarons (they are so temperamental) this post has spurred me on to give it a try. Thanks! Oh my heavens! I will e making this next weekend! Okay, not only did my family and I love this but I took it to work! They ate every bit and asked for more. Then and only then did i tell them it was gluten free and made with beets and avacados! LOL THey want more!!! This looks amazing – I’ve been wanting to have a go at a Beetroot cake for a while – I think I’m going to start with this one! Thanks for stopping by my blog Poppy! I’m intrigued by this cake. I really like beetroot chocolate cake but would never have thought of trying avocado with it too. Will definitely try soon! I hope you get to try it, makes it so moist and yummy! This looks totally fantastic. I cant wait to make it. Will probably use virgin coconut oil to make it even healthier. Thanks! LOVE the “gold” dust!!! Awesome! Cannot wait to try this when I return from holiday. Thank you for posting! I’m skeptical, but I want to try this. I understand, I would have been skeptical before! Everyone who has tried it so far has been pleased as far as I know! Let me know if you give it a shot! This looks amazing! Popping by from SITS. Can’t wait to make this for my next girls night and not say a thing about the ingredients…until afterward. This looks amazing and I really wish I could reach through my computer and EAT IT!! Now that would be a great invention – screen eating! I’d never heard of beetroot. This recipe has me curious. You may know it as ‘beets’? Mmmm…I’ve had avocado chocolate muffins before and they’re amazing. My husband wasn’t a believer at first, but they just add so much nice texture and creaminess. I’ll be trying this recipe! Thanks Suzanne. Yes, I agree, the avocado adds wonderful moisture and richness! I hope you love the cake! Bookmarked and pinned for future use! Looks incredible!!! Yum! As an athlete, I’ve learned that beets are really good for enhanced athletic performance so I’m definitely going to try this recipe out (I can have cake and eat it too!). Plus, I’m dairy-free + gluten-free and was happy to see that it can be made to these specifications. The only thing for me is the agave syrup which some sources are now saying it may be worse than corn syrup (the way it’s processed and then digested). Hi Nicole, thank you for coming by! Not only does it sound healthy, it looks beautiful! What a great presentation. Thanks for sharing. I once had beet brownies, which were a tad odd since there were chunks of beets in them, but I am definitely intrigued by this recipe and will have to check it out. Happy SITS day! What a delicious looking cake! I am definitely inspired to try out these ingredients! Happy SITS day! Happy SITS day! I can’t believe something that great looking is healthy. I have to try it. Where do I find Beetroot? If you already said I apologize. Have a great day. Hi Kate! Thank you so much! I thought it as too good to be true when I made it, but it is very true!! Oh my… that truly looks HEAVENLY!!! I am ashamed to share that I don’t even know what “beetroot” is… Ugh. I think I could learn a lot from you!!! Omigoodness! Beetroot and Avocado?!?!? I can hardly believe it, it looks so incredibly yummy!!! Wow, interesting ingredients! It looks absolutely delicious. Stopped by from SITS. Enjoying your blog! Ah, a gluten-free chocolate cake recipe. With my birthday in 16 days, I might give this a try. Stopping in from SITS…you definitely took ingredients I would have never thought of and came up with something that looks absolutely decadent,…Thanks for sharing! Happy SITS day to you first of all. Secondly, wow who would have thought those ingredients would make such a yummy cake! Good for you! 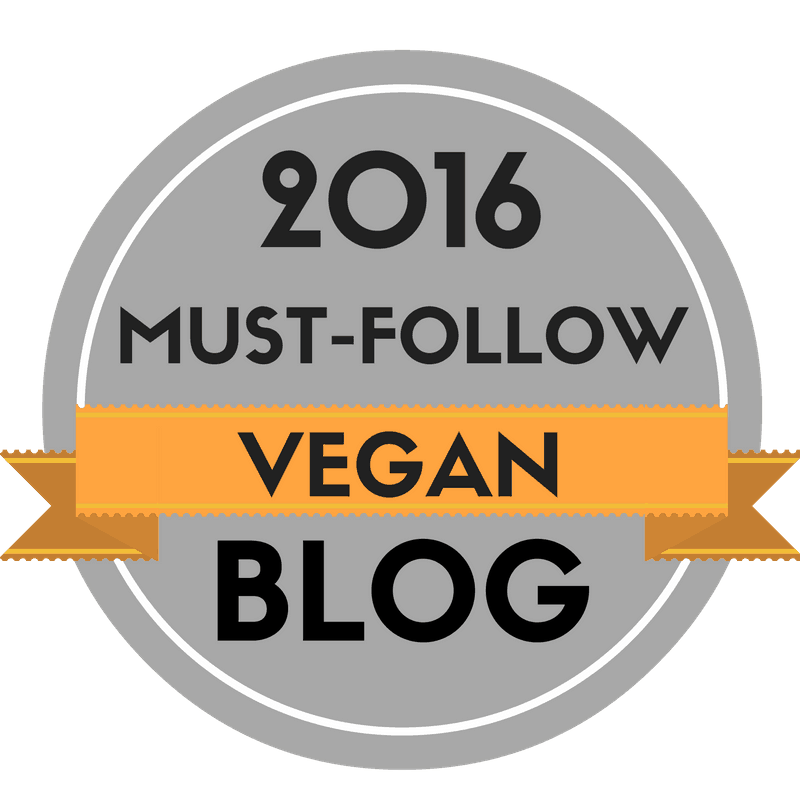 I think reading your blog ill be inspired to try more vegan recipes! I had to share your blog with my friends on FB. This looks really delicious, Poppy! I’m not a vegetarian or vegan, but I definitely would consider trying this! Thanks so much for sharing – and Happy SITS Day! That’s fabulous! Thank you so much! Thank you so much! It’s a really easy cake, there’s really no way it could go wrong if the recipe is followed! This looks delicious! I need chocolate! That cake looks amazing, and so pretty! This looks so good I can almost taste it! You don’t fancy starting a delivery service do you?…. Thanks Lou!! Haha, if I could virtually deliver it through the computer to you, I would! Thank you! Yes it is healthy but you really wouldn’t know it to taste it! Looks so amazing! Very creative touch with the gold dust made from almond! We’re about to have a glut of beetroot here and I was adament not to just throw it in some brownies, but I may have changed my mind since seeing this cake. Looks and sounds absolutely stunning. I am going to try making this right now!! I will have to use maple syrup instead of agave & make my own dark chocolate but I’m hoping that it will still be as delicious as it looks on your blog! I am definitely re-posting this on my site. Thank you. This looks so awesome – now I have something to bake for my vegan friends (and to convince the vegan-skeptics). Do you know if I could use tinned beetroot – or alternatively, how should I cook the fresh beetroot? Hi Tash, thank you for your comment. Great that you can serve this to vegan and non vegan friends! that cake looks really good, I never would have expected that from the ingredients. Thanks for stopping by and liking my post on the white chocolate lemon truffles. Looks beautiful, I may give this a try! Thank you! I hope you do try it and love it! Amazing! Beautifu photos and presentation! Wow this looks amazing. And you photography is fantastic. Thank you. Looks delicious. I will have to try making this. wow, this looks and sounds so good!!! there goes my sunday afternoon testing! I’ll report back on the outcom! Thank you so much Yuri! It’s sounds too good to be true doesn’t it?! It looks like pixie dust 🙂 The calorie image doesn’t load btw. Not that I really care when I’m eating cake. This looks so freaking good! Reminds me that I want to start using avocado in my baking! Thanks for the inspiration! Thank you for letting me know about the image, it is now fixed! This looks so good! I have tried avocado in baked goods and have been impressed, but never tried beetroot. I will definitely add to my “new things to make” list! Thanks! Great, I’d love to know how they work! The word ‘healthy’ immediately drew me to this post! I like the idea of sweetening the cake with beetroot, but wondering if the amount of oil and sweeteners can be reduced. I have seen an avocado cake recipe that uses much less oil, but I’ll need to try incorporating some veggies like beets into it! Yes the oil and sweeteners can be reduced. You can replace the oil with more avocado and sub stevia for the syrups but you would have to adjust the liquid in the batter to compensate. 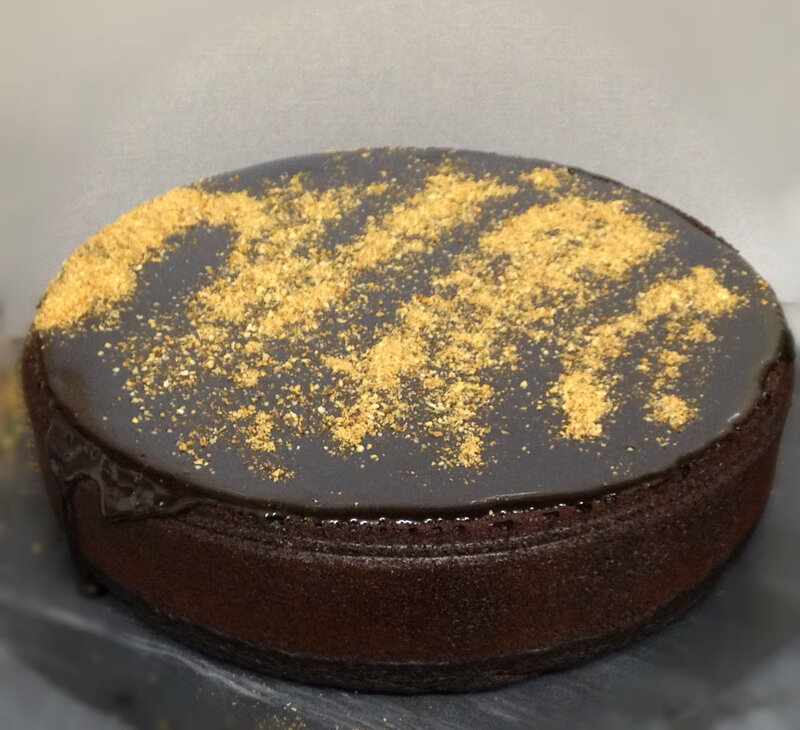 This cake was not designed to be health food, but to be a healthier version of a still very indulgent tasting chocolate cake. Considering how good it tastes and how fudgy it is, a teaspoon of oil per generous portion isn’t bad compared with standard chocolate cakes! I experimented with no oil but found the measurements given here gave the best texture and taste. On to the coconut whipped cream, no cornflour won’t work, the only thing I know of is coconut flour. You can make whipped coconut cream without it, but for a firmer hold the flour is great, it will just be more softly whipped without it. I will definitely need to try this recipe out sometime soon and post my end result up! About the whipped coconut cream, that’s pretty gutting! 😦 I guess this whip cream would probably be best eaten as an accompaniment rather than filling. Thanks so much for the reply, Poppy! I think coconut flour would be a great investment for you! And due to it’s high absorbency, you need so much less in a recipe compared with wheat and other grain flours so it lasts a long time! And funnily enough, I helped my nan make and pipe meringue ghosts for Halloween last week! Been a long time since I ate it though! Unrefined powdered sugar?? Sounds interesting! I’ll be sure to check the website out! I will consider investing in coconut flour (found them in a green grocer the other day but was way too pricey), I will look for a better deal and experiment 🙂 I’ve heard the phytic acid level is minimal as well making this a great flour alternative! Yes, it’s amazing! Not sure if you will be able to find unrefined powdered sugar where you are! I hope you can and that you find some cheaper coconut flour! Helping my nan make meringue does not make me not a vegan! I did not eat the meringues I helped her pipe them! I keep getting comments from people to freeze these produces I wouldn’t have thought of freezing! I.e. sprouted almonds and now flour! Because the store is so nearby I might just go for a lovely walk to buy more instead. Or will their nutritional value decrease quickly? I’m yet to try using the flour but will post my results up : ) BTW, being a vegan, are you a fan of fry’s food? I haven’t found any information to suggest that the nutritional value would decrease. Fry’s have made some pretty interesting meat substitutes like sausages, schnitzels though. They’re interesting, but before learning about Fry’s foods I’ve never craved all these ‘meat substitute’ products before. They’re not that unhealthy, are great sources of protein, but again, are processed foods. Some of their products are quite affordable though i.e. a pack of 8 sausages for $9 here in NZ. Considering fry’s use pretty good quality non gmo soybeans in their food, the price is pretty fitting. At least for their sausages. I’ve tried their frozen veggie cottage pie once and it was meh. The sausages are a bit salty but pretty convenient protein though! You’re right about the wholefoods, but sometimes I just feel like a sausage! I’m very interested in making my own bean burgers though! Fry’s products are much much cheaper here! Their sausages are around £3 which is about $6! Wow! Hmm.. I guess it’s more popular over there hence cheaper price? Oh well, I haven’t had fry’s sausages in a while and still coping. Possibly although some places are just more expensive than others I guess! I don’t really eat protein bars but I can imagine that to be the case as soya is so widely grown and genetically modified for large crops. Not that all soya is if course! Great, I hope you love it! The beetroot makes it so richh and moist! This looks FANTASTIC. I have some beets in my fridge and I now know what to do with them. I love this recipe. It has inspired me to to try it out using coconut flour and coconut oil. Great, I’d love to know how you get on and what measurements of coconut flour you use! Whoa, I am so inspired! This cake looks absolutely amazing, got to try this sometime. Haha it’s my turn to be a little skeptical! My friend made beetroot chocolate cake for my farewell party, and I was dubious in the beginning, but it tasted delicious. But avocado as well? Haha… you’ll have to send some my way to convince me! =p Thanks for stopping by my blog! Intriguing use of avocado – does it act to replace the ‘normal’ fat people normally use in baking? 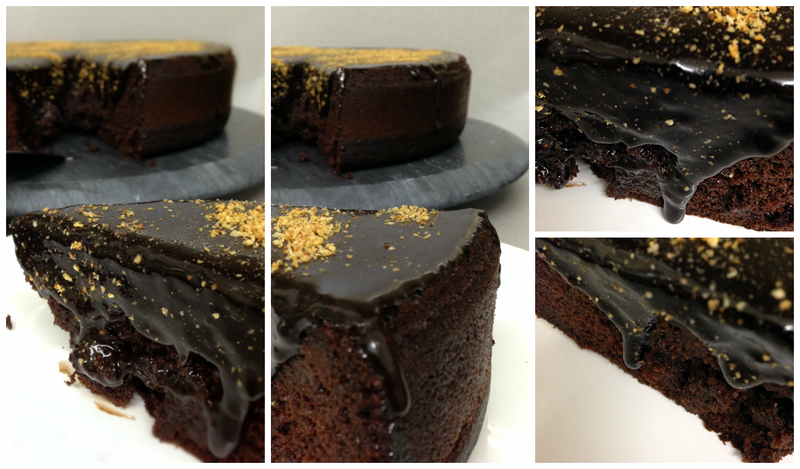 Yes it does replace refined fat such a oil or butter etc..
Wow what a creative and delicious twist on chocolate cake! I love this! And I love your blog. Thank you! Beautiful! I’ve used beetroot in a cake before and was so pleasantly surprised but have always assumed avocado was better for the raw stuff. I bet it makes it nice and moist. Great idea! Yes it does make it moist and rich! Thanks for liking my latest vegan article on enSALADes ! Funny to see that we are using the same theme 🙂 Have a lovely day! I agree with you 🙂 Have a lovely week-end! I am going to have to try this! Even though agave syrup has a high glycemic index, I may make it as it from the first try. Then play with sugar balance 2nd try. This is just amazing! I baked a version of this, took it into the office and it was met with cries of delight. Has inspired me to play about with beetroot and avocados in cakes – thank you! That’s fantastic! I’m so glad it was enjoyed and has inspired you to use beetroot and avocado more! Now that looks positively yummy! Thanks for visiting. It is really very healthy! Yummy! 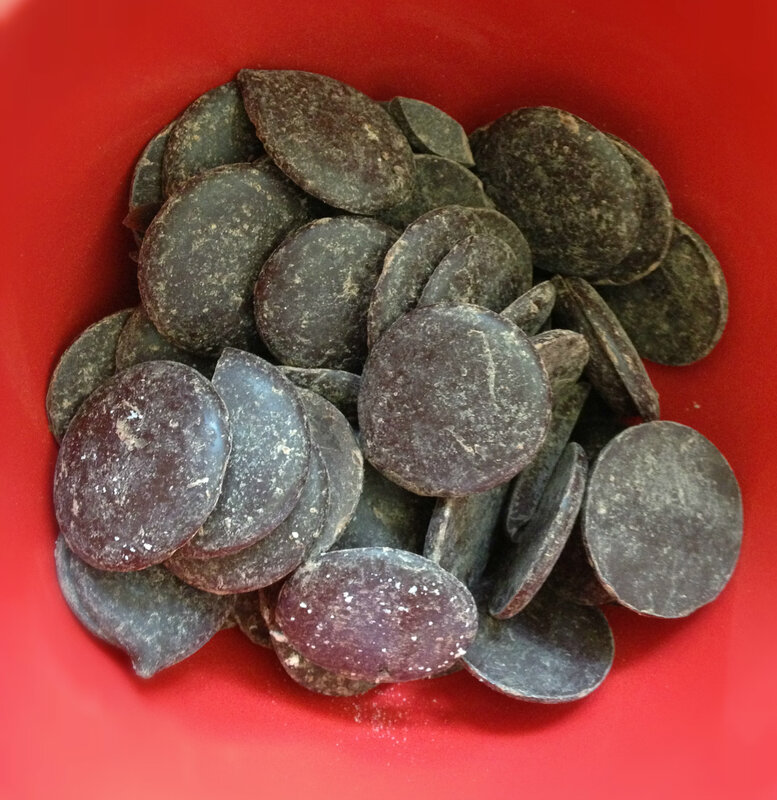 Beets and chocolate – what a great combination!!! It certainly makes for rich and moist cake!! Holy moly. Definitely pinning this to try later. Looks magnificent! Thank you! 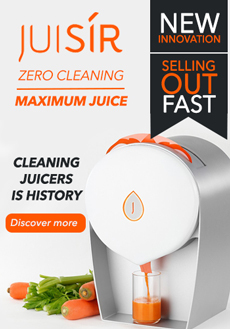 I hope you love it when you get to try it! Wow, I love beetroot and with chocolate mmmm!! You can’t taste the beetroot in this but it adds a wonderful fudgy texture! Gorgeous, just gorgeous. I was about to make a gluten free chocolate beet cake for a birthday, now I think I’ll add avocadoes for the oil. My friends are not as health conscious as I so I try and sneak it in. This looks amazing – and the almonds look really effective! I will definitely be giving this a try! Definitely going to try this one out. Beetroot chilli chocolate cake is a delicious combo, so definitely going to try this one out… love secret veggies in cakes so you can freak people out when you tell them the ingredients. wow! Now we have a great excuse to eat more chocolate cake! Chocolate cake could not possibly get healthier than this! thanks for the recipe! I am happy to come across your blog! This looks unbelievably decadent and delicious. I’ve cooked cake with beetroot before but never avocado – I’m looking forward to trying it out! This is awesome I told the BF i was going to make him red velvet chocolate cup cakes with beetroot… this is the perfect base recipe for it! Love your magic ! Oh. I need to try this one. Wow. This recipe looks so yummy I just had to share it. Wow, I’m salivating already, I love chocolate, avocado, almonds and beet root, can’t wait to try this…I’m not a baker but love to blend smoothies with hundreds of combo…now I started exploring baking and found your website trying to make a beet root cake for my daughter’s birth day…thank you. Hi Michael, thank you for your lovely comment! I really hope you have fun with this cake and that your daughter loves it! You really don’t need to be a baker, it’s pretty foolproof if you follow the recipe! I am so pleased to have found your blog! I searched in google for “chocolate beetroot avocado cake” and you popped up first! 2) What is the difference between date and agave syrup? Can I use one cup of agave? Can I use honey instead? What do you think? Would it be ok if I just use one cup of one of those, or is it better to use 1/2 cup of each? 3) For the chocolate glaze- do you think I could use coconut oil instead of vegan margarine? Thank you so much for your message and I am so glad you found me too! I am sorry to hear that you are having trouble with your wedding cake, I’m sure that is really frustrating as it has to be perfect for your special day. I will try to answer your questions as helpfully as possible! I have frozen the cake with great results. I have found in the past that some cakes defrost and become a bit dry but because this cake is so moist, it retains it’s wonderful moist texture after freezing. I often make this into cupcakes and freeze some so that I don’t eat too many!! I also think it should be fine to multiply the recipe to serve more people but it may take some test runs on cake tin sizes etc. I either boil or bake the beets, unpeeled until tender, leave to cool then the skin just rubs off then puree in a blender. I think if you can find canned beets in plain unsalted water, they will be fine once drained. Agave syrup is quite light in flavour whereas the dark and rich date syrup adds some depth and caramel tones to the cake. But, that does not mean that they both must be there. You can use all of one type of syrup, I would recommend using all agave or maple syrup as date syrup is not as sweet. Absolutely coconut oil would be delicious in the glaze! I hope that helps and please feel free to contact me if you have any other questions and I’d love to know how it turns out! This really is an awesome recipe. It makes an amazing cake. I made a couple of changes – not because the recipe wasn’t awesome enough already, but because I couldn’t help myself… I made more of a ganache for the topping with almond milk and a rich dark chocolate. Before doing that I split the cake in half and filled it with a rather large amount of preserved blueberries that I had put up in the summer with a very small amount of agave syrup so it was still quite tangy. I also added some pomegranate molasses to the cake mix – I was working away, spotted it in the fridge and poured a big gloop in – it actually worked really well. Thanks so much for sharing this great recipe – it’s a keeper! Thanks for stopping by my blog! Looking forward to trying out this recipe too! Cheers! Reblogged this on Canadian Dad. Wow! This looks incredible. I can’t wait to try it out. Thanks for checking thewholesomehealth.com. After eating beetroot, what would you suggest for a good substitution? My munchkin isn’t supposed to have beets or cane sugar, but we all adore a scrumptious chocolate cake. Looks amazing – I’ll give this a go at the weekend. I love beetroot ! Reblogged this on FreshVeggies . This looks great! I want to make it for the kids at my day-care centre who are constantly asking for chocolate cake, but we can’t because it’s not healthy…but this makes it at least reasonably nutritious! However, since we can’t use nuts I was wondering if you could reccomend a substitute for the almonds or if we can just do without them? I think this is a fab way to get some vitamins and healthy fats into the kids! Thank you for this great recipe. We are a nut free house so I substituted the almond for sunflower seeds (I ground them myself in my tiny little blender which was a lot easier than I expected) then toasted them etc as per the recipe. This is the best cake I’ve made since going egg and dairy free (and now gluten free). Everyone at the party agreed it was delicious and my little girl came back for more three times (I didn’t stop her as she could definitely use some fattening up plus nutrients too – what a bonus). Sandy that’s the best message to receive, thank you! I am so thrilled that you and your family enjoyed it and I love the tip on replacing the nuts with sunflower seeds, great to know there is a nut free version, I will make a note of that in the recipe. Ohhhh my goodness my eyes nearly fell out of my head – this is just so ridiculously delicious looking!! I’m trying this out today for my vegan friend using gluten free flour… wish me luck! I absolutely have to try this recipe! I love it! Beetroot AND avocado in a cake – I have done beetroot and avocado individually but never together. I like it! Good idea and super healthy. have you ever used a square tin to make this brownie shaped? I made it last week in a round time was the most successful and tasty cake I’ve ever made!!!! What a wonderful comment Rosa, thank you and I am so pleased that you enjoyed it. I haven’t tried in a square tin but I’m sure it will work, you may just need a bit less cooking time, do let me know how it turns out!! My daughter’s favourite cake is a beetroot cake from a local vegetarian restaurant. I am going to try this recipe to see if is similar, I think she will love it! Thanks for sharing. I’d love to know what she and you think!